A Reader's Journey Through Books! Reviews for March 5th 2015! I am trying to get back to posting my weekly reviews. I have been so busy reviewing for Fresh Fiction that I have not done the stack for my blog that are beside my bed. So I’ll share the one’s from Fresh Fiction for the next few weeks. I’ll start with four from Fresh Fiction that I reviewed last year and the first one is by an author I love. 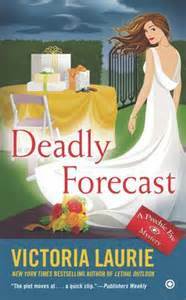 Deadly Forecast is the review of one of my favorite cozy mystery writers Victoria Laurie. Please read my review from this link and let me know what you might think. 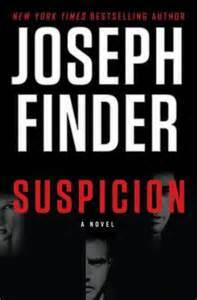 Speaking of Joseph Finder, have you read his latest book Suspicion? If not check out the link for my review on the following link. What and awesome writer he is! So this last book that I will share the review with you is not a mystery but a heartwarming story about a mother and daughter that each fine love where they are not looking for it. 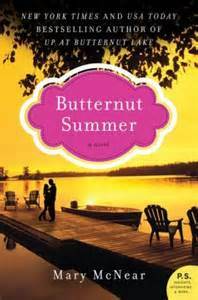 Butternut Summer is such a sweet wholesome story. Next week I’ll have more reviews from Fresh Fiction. Here is a local writer here in North Carolina who has written a collection of short stories that you are bound to at least say you know one person like the colorful characters that she has developed. 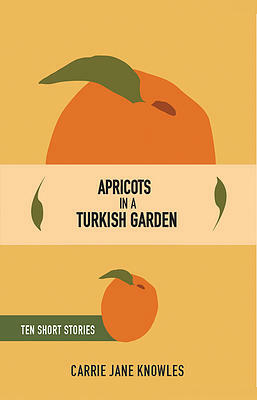 Beautifully written, Apricots In A Turkish Garden by Carrie Jane Knowles has tales that will catch your attention with endings that will leave you in the state of wonder. It is like each one has a secret message about life. Most of the stories take place in the location of Raleigh with the southern touch that makes you think of the tales that grandma would tell you about those that use to live down the street or around the corner. This is a collection that you will definitely want to read in a cozy little chair by the fire with your warm cup of tea. Here are a few more reviews for this week!!! 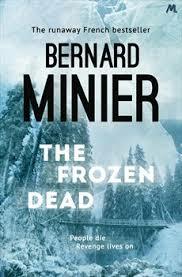 If you want a good book to read for the winter that will keep you in suspense, then Bernard Minier’s The Frozen Dead is just the one to read! 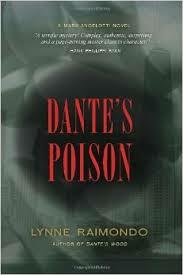 This novel, Dante’s Poison written by Lynne Raimondo is a great mystery that was well written. 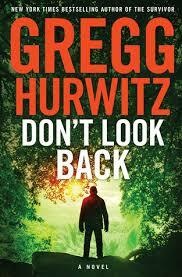 My first time reading about a private investigator that is blind but still seems to solve crimes. I’ve been busy posting reviews for Freshfiction for the last few months. So I will spend the next few blogs sharing with you some of those links. Most are mysteries, suspense and a few romances. So if you are looking for some great novels, check out the reviews below. Here is a review that I did earlier this summer. 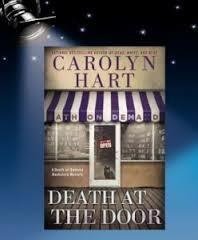 Death At The Door, written by Carolyn G. Hart, is a great mystery that will remind you of the game, Clue. So if you loved that then you will love this book. 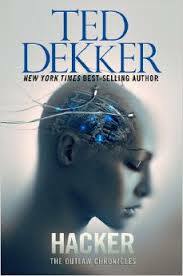 Hacker written by one of my favorites, Ted Dekker, is another must read that you will not want to put down! This novel really made you think when today’s technology. 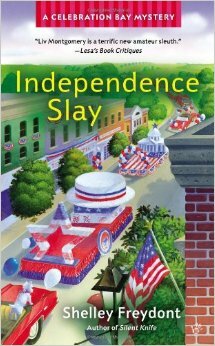 If you are looking for a cozy read then Independence Slay is a great one even if it is the month of October. The setting is in a little town that is celebrating Independence Day when something terrible goes wrong. This is not just a summer read, and can be enjoyed at anytime of the year. 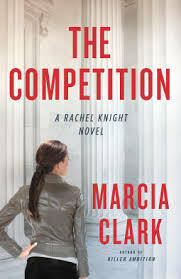 In the novel The Competition written by Marcia Clark, Rachel Knight is a prosecutor who has made the news on other famous cases. Now she with the help of a police detective, Bailey Keller is out to find the shooters of the worse school shooting ever. However, it looks to be two students from the school who had taken their own lives in the school library. Though sometimes things do not look the way they seem. This duo will stop at nothing to get to the bottom once they find out that the two dead students in the library are not the killers. This novel had so many twist and turns in the storyline that you did not get lost or confused. 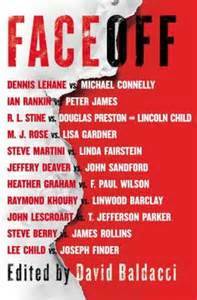 With Marcia Clark experience in real life with District Court System, her novel was so believable that you will find it scary! My favorite type of novel, full of suspense! I had not long ago finished a new trilogy from Harlequin. This was a first of Harlequin books for me I must say. The Men of Fifth Avenue each have a story to tell in how they helped bring down one evil man Jason Treffen, of his doings. So spend the next few weeks reading the first three novels to build you up to the last one coming out later next month. The first one is Take Me by Maisey Yates and it is a prequel to the other three. And coming out in August is Expose Me by Kate Hewitt Caitlin Crews the final book to this trilogy. So, for all of you that are a fan of exotic romances, here is one that I read for a review with Fresh Fiction. Sixth Lover written by Alice Gaines was a steamy novel let me tell you. Though the time frame was in the pass, it still goes to show that all women regardless of the century still had the same needs. Read my review below and see if it is a book you will enjoy.